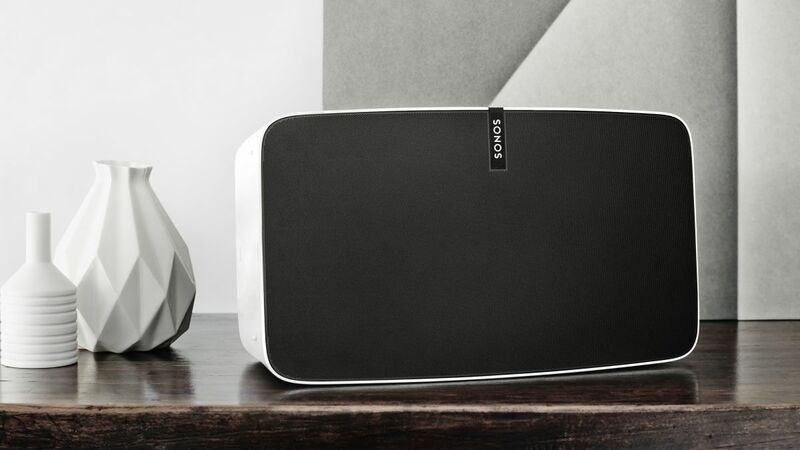 We’ve really been enjoying Sonos’ re-engineered Play:5 speaker. Compared to the previous Play 5, the new speaker sounds richer, deeper and more musical. For those unfamiliar, the beauty of a Sonos system is that you can buy multiple speakers and place them all over the house, without having to worry about how to hard-wire them. They operate wirelessly via your home wifi system, not with conventional speaker wires. However, you will need to plug the Play:5’s power cord into an electrical wall outlet for power. You can control the speakers with one master remote–your smartphone, tablet or PC. Via Sonos’ user friendly app, you can either play the music stored on your computer or you can stream music from popular music services such as Spotify, Google Play and Pandora. Absent from the list is Apple Music but Sonos says that will be remedied by year end. Sonos speakers come in a variety of sizes–the system starts at $199 for the Play:1, $299 for the larger Play:3, and now $499 for the top of the line Play:5. Beyond the new speaker upgrade, Sonos also has a new app set to debut TruePlay, which autotunes new speakers to adjust to the room’s acoustics. In other words, TruePlay is capable of tuning the speaker for optimal sound. Muddy sound becomes crisper, thin sound becomes more full. We’ll examine TruePlay in a future post but what we can tell you is that it is extremely impressive. If you use your Sonos control app on an iPhone®, iPad®, or iPod touch®, great news. You’ll be able to use your iOS® device to fine-tune the PLAY:5 with Sonos’s Trueplay feature. This free software upgrade will be available later in 2015. Trueplay will work with every PLAY:1, PLAY:3, and PLAY:5 speaker in your system. Seattle Hi-Fi has the Play:5 in stock and available to audition. ← Seattle Hi-Fi Introduces Dynaudio’s new Xeo 2, making true high-end sound quality more accessible than ever before.